ARE YOU WITH SOMEONE FROM A DIFFERENT COUNTRY? OR FROM A DIFFERENT CULTURE? Are you having any of these problems in your relationship? Communication is probably the most important skill in any relationship (personal or professional). 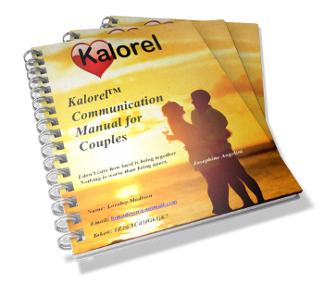 We can help you learn how to communicate better and improve your relationship at the same time. We can help you identify and address the causes of jealousy, and help you build a more secure and happy relationship with your partner. Are you succeeding professionally, but having problems at home because of it. We can help you learn how to achieve the balance between your professional and your personal life. Do you want to understand your partner better? Our Culturally Aware Love and Relationship Program was designed to help you and your partner develop a better, stronger and happier relationship. You are different from your parents, siblings, and friends. What worked for them on their relationships, may not work for you on yours. With our program we will help you learn what is truly important for you and your partner in your current relationship. We help you develop the skills to communicate better and help discover how to build a better relationship. "I really enjoyed being able to see in what areas we were more compatible and where wewere completely different." "The diagram was almost like a guideline on how we could better overcome problems and communicate more effectively." I put it in my phone! I like it so much that I put the relationship map in my phone. Relationship Coaching for Cross-Cultural Couples. Register NOW for our FREE introductory session. When you are in Love, Appearances don’t matter, opposites go well together..
Men: Dates are truly important to remember..
Men: Five easy tricks to keep your partner happy.